Luxury can mean different things to different people. Luxury for some is something precious to own or behold, and to others its experiences or unique memories. Luxury for me instantly means travel and tourism as this has been my world for more than 25 years. The last 10 years has been dedicated to luxury hotels that I’ve represented, reviewed, stayed in, dined in, developed and now I am thrilled to be able to convey my vast catalogue of luxury travel experiences with you. When people ask me what is my favourite hotel I find it hard to give a single answer. It could be London’s 18 bedroom Rookery Hotel in Clerkenwell for its personalised service, beautiful interiors and attention to detail. On the other hand, Le Touessrok is the most magical place and the rich Mauritian flavours make it not only an unforgettable encounter but a unique cultural experience. However, on a recent trip to India I think I found the answer to my favourite hotel. 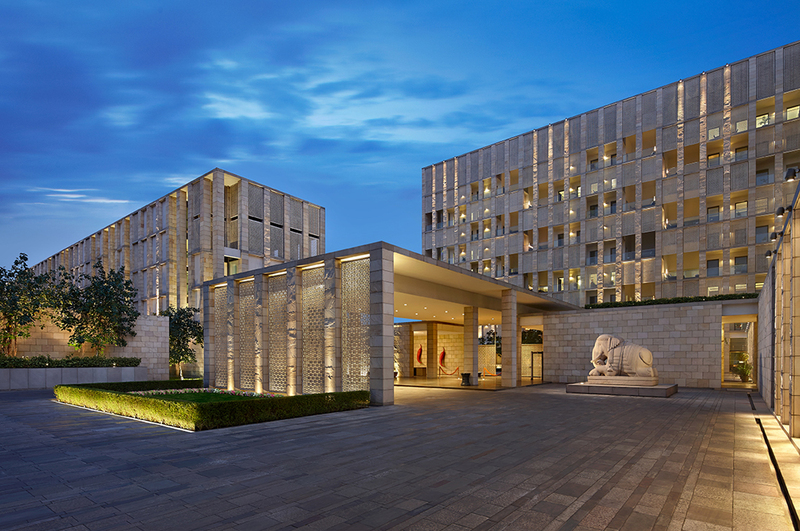 When entering The Lodhi Hotel, New Delhi, a quote came to mind from Doug Larson that says, “Utility is when you have one telephone, luxury is when you have two, opulence is when you have three – and paradise is when you have none”. Upon arriving at The Lodhi I felt instantly compelled to turn off my mobile phone and enter the calm and tranquillity of this paradise. In the heart of the exciting and chaotic city, this urban resort tempts you to cancel all your plans and spend your time in the indulgent spa, beautiful pool and vast fitness centre, followed by dinner at Anidra restaurant sampling Indian culinary delights. Each room with its own plunge pool would be a suite in any other hotel, and the sincere service is flawless. It’s hard to adequately describe everything The Lodhi has to offer. One thing is guaranteed; there is a sense of pure serendipity here, and for many that’s what luxury should be. On my next trip to India I have promised myself a visit to Indian Accent, the award winning restaurant at Delhi’s Manor House Hotel. Is it Delhi’s best show kitchen where food and theatre meet to provide not just gastronomic brilliance, but also showmanship that is uniquely India. Back in London I have had the pleasure to see the new Rosewood hotel the day before the grand opening. Located in Holborn the hotel is perfectly located where the City meets the West End. For me this is the perfect setting. On the doorstep is Covent Garden with all the theatres, including the Royal Opera House, the New London Theatre where the amazing War Horse is playing, and all the wonderful restaurants and bar this quarter of London offers. With Balthazar recently opening and repeating the success of the New York experience, this sets a new standard and excitement to add to Covent Garden’s many dining options. Also steps from the Rosewood is the Delaunay restaurant that has a classical appeal with a modern and exciting atmosphere. But the most wonderful neighbour of the Rosewood is John Soanes House in Lincoln’s Inn Fields. This museum dates back to the late 18th century and is one of London most wonderful hidden treasures. These places really reflect the Rosewood philosophy towards “A Sense of Place”, where every property reflects the local culture and history. Within the hotel itself this approach is clearly visible with original features being not only being protected but used as inspiration for new décor and design. 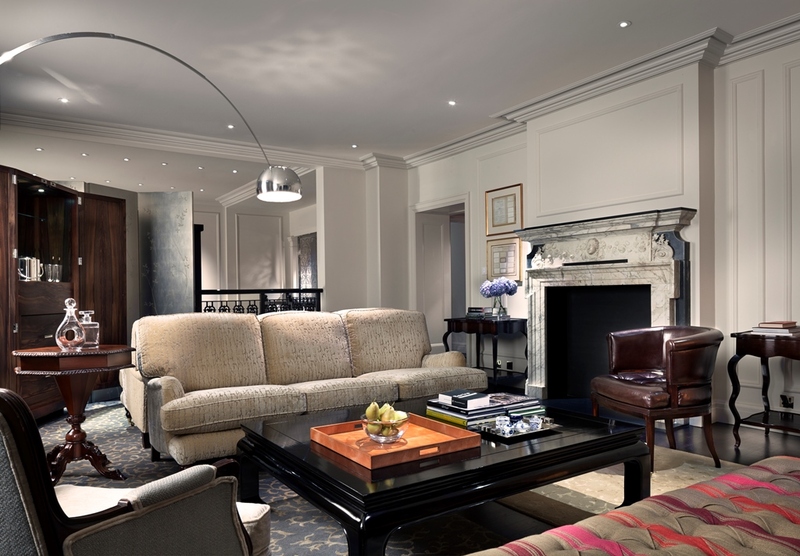 The rooms are more like being in a stylish London residence, while the restaurants are filled with artwork and books, and the meeting rooms reflect hotel’s past as the former headquarters of Pearl Assurance Company. Together this delivers an exciting new hotel onto the London landscape that reflects elegance, atmosphere and a new icon in the centre of Holborn. Fantastic new blog! So pleased I found it. There is a real need for personal recommendations from an experienced traveller, rather than sales and marketing terminology which is used commonly amongst other travel blogs. Unfortunately I have never had the opportunity to travel to India but it is very high on my “places to visit” list. When you discuss The Lodhi Hotel in New Delhi you use the word serendipity to describe the atmosphere created. I wonder whether you mean this as to my mind serendipity means when good/positive things happen by chance and I think what the Lodhi has created is, by the sound of things, intentionally planned and not left to chance. Perhaps I have completely mis-understood but it would be great to have your views on this. Looking forward to the next blog posting. Thanks for your thoughts and really great point. I did indeed mean “serendipity”, and in today’s travel landscape it is what consumers miss out on so often. In a digital world so much of the intangible becomes tangible through websites, social media, customer review sites and CGC. The customer can almost see all their travel choices before even leaving home, and they know exactly what to expect on their arrival. With The Lodhi, it is such a unique and special place that online content cannot describe the tranquillity and elegance of the ‘tangible’. This personal experience throughout your time there can only be explained as serendipity. This for me is what luxury is. An experience that cannot be manufactured or formulated. While the property may be created and planned, the feelings it inspires are not. The Lodhi inspires a sense of karma and surprise and I think this can only be described as serendipity.